Are you looking to upgrade your existing Dynamics SL to SL 2018? 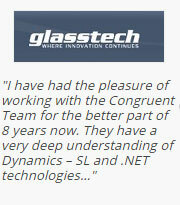 Congruent being one of the oldest offshore Dynamics SL partner (working since Dynamics SL version 4.21), has helped many of its global clients upgrade their Dynamics SL seamlessly. Upgrading Dynamics SL is a critical process like implementation itself, which comes with its own set of challenges. Any shortfall / error in the upgrade process often results in heavy losses. Hence, in order to have a successful upgrade and a smooth transition of customized elements to the newer version, it is important to choose an experienced partner that is competent of handling complex upgrade processes. Congruent’s Dynamics SL upgrade services ensures and enables its customers to achieve increased efficiency & accuracy leading to customer satisfaction. This new update of Dynamics SL 2018 welcomes customer-centric themes which Microsoft has used in building the product. A Power Suite Evolution that contains OData, Power BI, Power Apps and Microsoft Flow as an integrated solution. 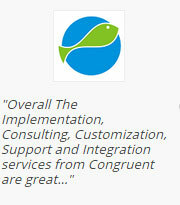 Why Choose Congruent for Dynamics SL Upgrade? For further queries or to express your interest in Dynamics SL upgrade services, please fill in the enquiry form for us to touch base with you.